Capable of high-strength hollow shape extrusions. 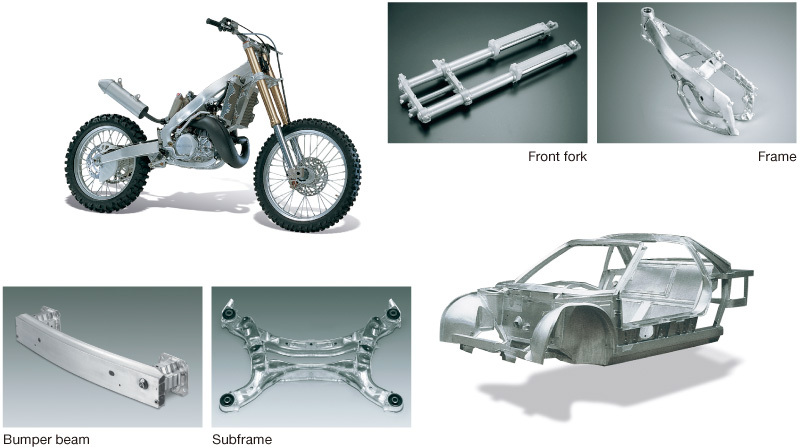 Aluminum materials can be applied to structural and rotational axis materials. Easy to work on forging, tapering treatment, etc. Thanks to clad tubes, the corrosion resistance of piping materials has been improved.